Notepads are a savvy marketing tool designed to increase brand recognition. These cost-effective materials serve as an ideal giveaway to stay on a customer’s mind. Color FX Web offers top-quality wholesale notepad printing designed to help your customers boost their business. We are the preferred choice of print brokers and resellers across a range of industries, and our quality is second to none. All notepads are certainly not created equal. People are interested in picking up a high-quality pad of paper that they can easily write on. Color FX Web offers polished wholesale notepad printing that’s sure to impress your customers. We offer countless customization options, to ensure the finished product is exactly what they expected. 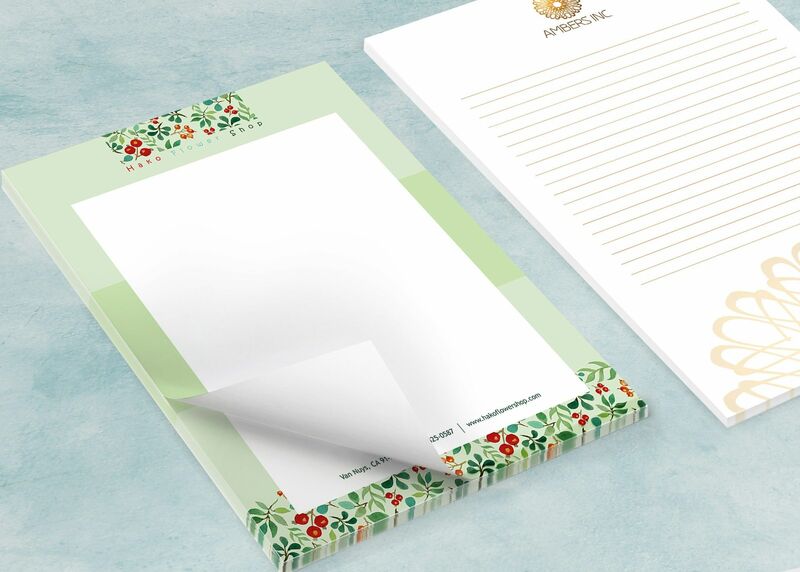 Our made-to-order notepads can be adorned with a company logo, designed in any size and printed in any color of choice. We can produce mass quantities of notepads at a low cost, making them affordable for even the tightest budgets. Notepads are ideal to hand out at trade shows, meetings, as part of a corporate identity package or any other opportunity your customers have to market themselves. Each piece of paper on the notepad has the potential to be given to a new person, so the opportunities for exposure are endless. Many wholesale notepad printing providers take pride in their super quick turnaround times. This is great if you’re resigned to a low-quality finished product, but that’s not what we stand for at Color FX Web. We take the time to print your customers’ notepads right the first time, so we can deliver a flawless finished product. You can count on us to always meet our deadlines, which definitely makes us worth the wait. At Color FX Web, we take great pride in every single product we produce. We understand that the quality of our work directly impacts the relationship you have with your customers — and we respect that. When choosing a printer to work with, you have a lot of options, so we strive to be the best. When you partner with us, you’ll receive unparalleled customer service from the very beginning. We know how confusing it is to place an important order using an automated system you’re not familiar with, so you won’t get that with us. You’ll place your order with a live person who will walk you through the process, answer any questions you have and record every last detail to make sure we get it right. 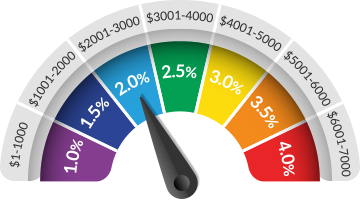 You’ll also be assigned to a dedicated account representative who serve as your sole point of contact. Instead of wasting your time playing phone tag with a host of people, you can contact one person with any questions or concerns you have. It’s that easy! Partner with Color FX Web to produce notepads sure to please your customers! Quantity represents number of sheets, not pads. For example: 2500 qty. is 50 pads of 50 sheets. 4" x 5.5" printed 4-color one side only on #70 Offset Smooth Paper, glued on short side and flush trimmed on 3 sides. Please Note: Any quantity up to 2500 on 70# offset uncoated text paper will be printed digitally and is not compatible with most laser printers.